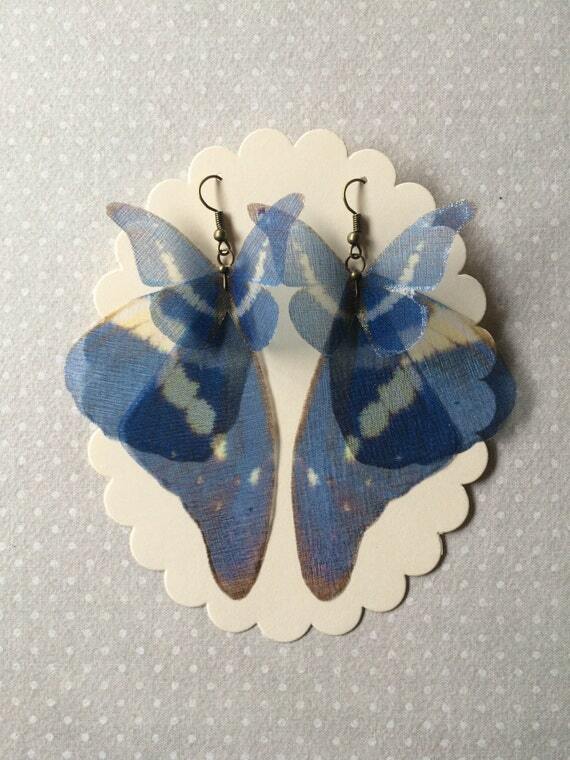 There are 6 butterflies (and wings) on these earrings, and they measure 10.5 x 5 cm. 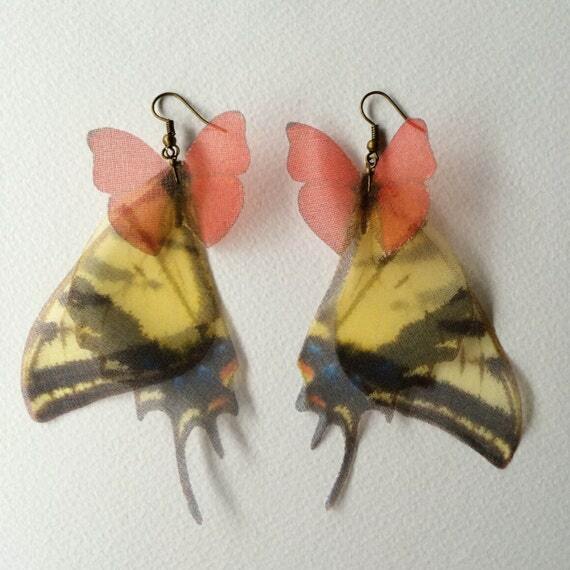 These butterflies will fly to you with Poste Italiane shipment service. You can choose your favorite way to receive them: standard, priority airmail or registered tracked airmail. Please read carefully my policies before to buy. 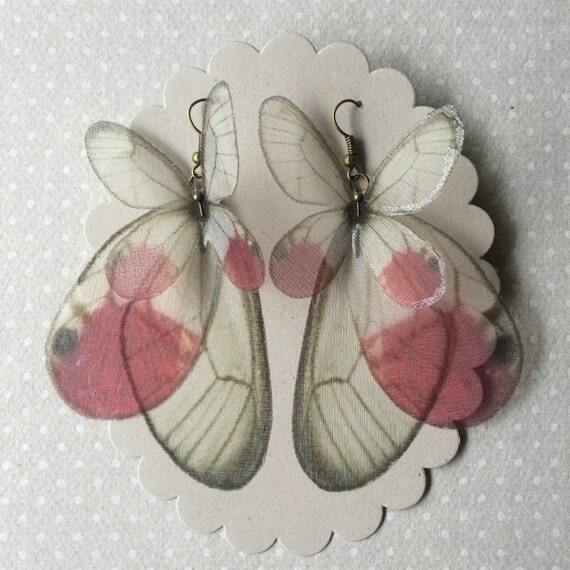 Then I printed them on high quality silk organza, cut, sealed and fixed using antique bronze findings. You can choose your favorite way to receive them: priority airmail or registered tracked airmail. I personally created this cute dress from A to Z. 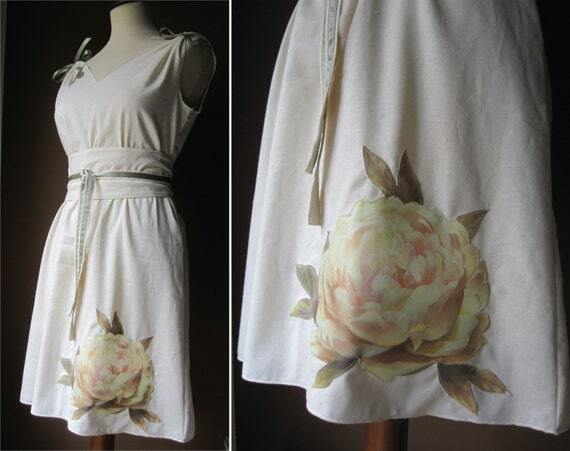 Handmade with unbleached cotton (looks ivory not white), V neck, full of details! I sewn, with care and attention, two special fabric plastic applications (a big rose and some leaves) on the dress, which makes it unique! I added also beautiful celadon green satin ribbons (as bow) on the dress and on the matched Obi belt. 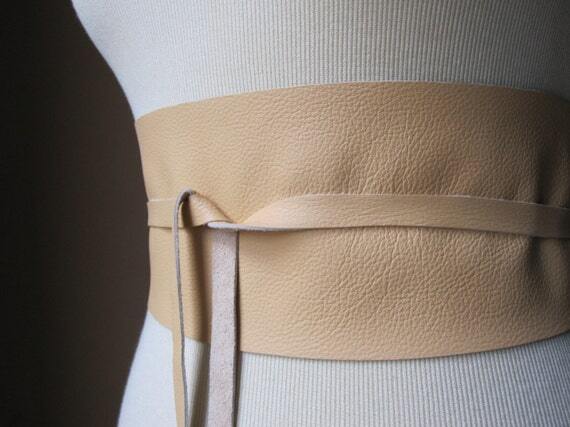 The Obi belt, made using the same cotton and satin ribbon is long over 2 meters (central part -waist- 68cm), wide from 5.5 to 10.5cm and can fit any size. The dress is worn by Betsy (my mannequin) that measures 87–67–90 cm. It can be hand washed up to 40 ºC and it can be ironed at cotton temperature, avoiding fabric plastic applications. These dress and obi belt will fly to you with Poste Italiane shipment service. 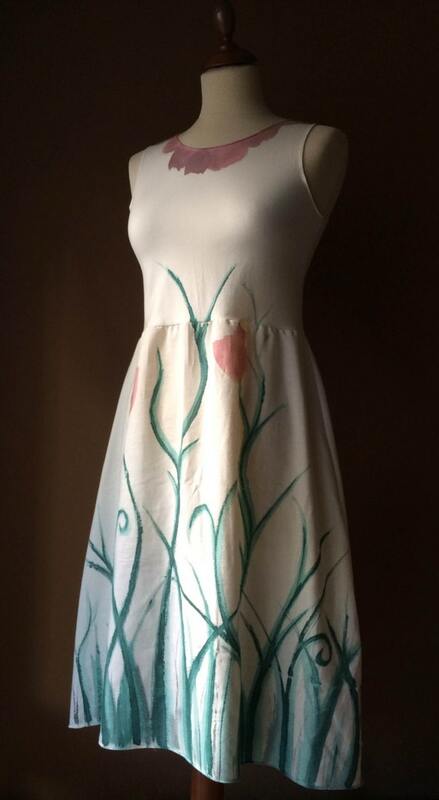 I hand-made this lovely dress from A to Z and I hand-painted grass and flowers on fabric, using shades of green and antique pink. The top is made with soft ivory cotton jersey (no lycra, no acrylic). The skirt is made using unbleached ivory 100% cotton. Waist from 78 to 45 cm. Hips ..free.. to 120 cm. It’s worn by Betsy (my mannequin) that measures 87-67-90 cm. and by me. I’m a size S, or an Italian 40-42. The dress can be hand-washed up to 40 ºC, and it can be ironed (low temperature) on reverse side. I’ll ship this dress within 3 days of receipt of PayPal payment with registered airmail, safe and trackable, by Poste Italiane service. This belt will fly to you with Poste Italiane shipment service.